It’s a reverse French manicure, a half moon painted at the base of the nail with a contrasting colour above. It elongates the hand and was seen all over the runways. Think neutrals and whites for the moon. Sally Hansen Complete Salon Manicure in sweet talker 340. 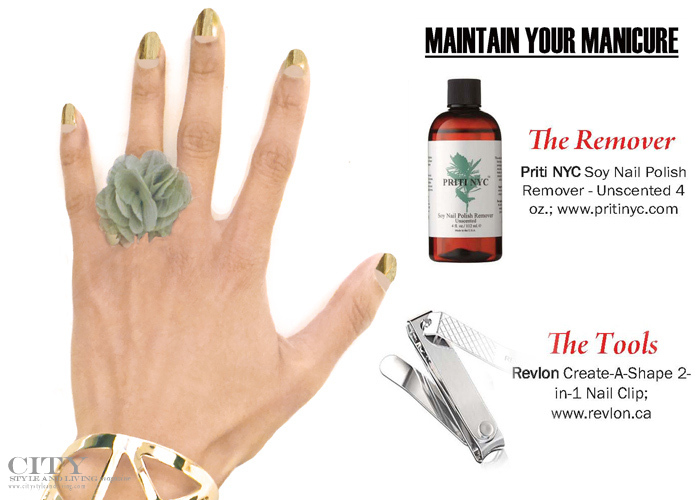 Revlon Create-A-Shape 2-in-1 Nail Clip. Priti NYC Soy Nail Polish Remover – Unscented 4 oz. 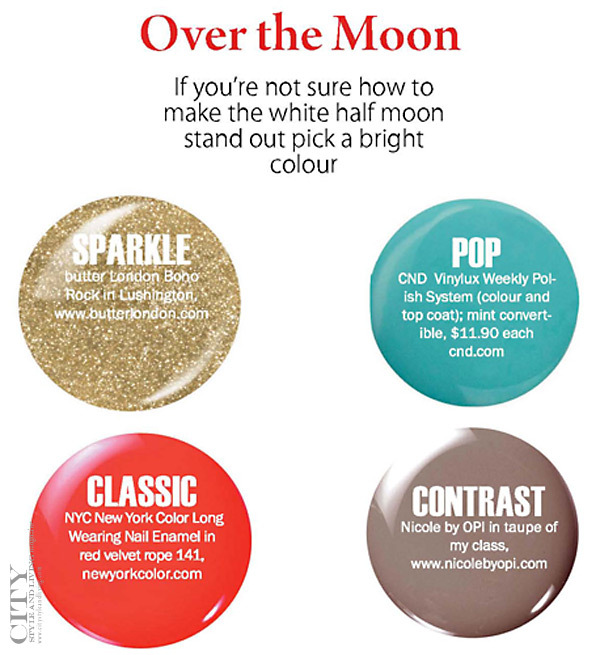 This original beauty article first appeared in the Spring 2014 issue of City Style and Living Magazine.